Light is one of the most important, yet understated elements in our daily lives. Light helps form events, and memories…the sunny day at the beach, the marriage proposal by candlelight, the ghost stories told by the campfire. The Bible says that after God created the heavens and earth, he created light, and saw that it was good (Genesis 1:3-4). Scientific studies have shown that the appropriate and proper lighting affect our daily moods. Can you imagine living in a world with no light? Or even in a world with inappropriate lighting? How would this affect your life? What are the different types of lighting I should know about and use when designing a room? There are four basic types of lighting that can, and should be used to achieve the best lighting design. They are: ambient lighting, task lighting, accent lighting, and decorative lighting. Ambient lighting fills the undefined areas of a room with a soft level of general light, enough for someone to navigate through the room. Task lighting is a bright light that illuminates a particular area where a visual activity, such as food preparation, or reading takes place. Accent lighting is similar to task lighting in that it consists largely of directed light. Accent lighting is used to focus attention on artwork, or architectural features, to help set a mood or provide drama in decorating your space. Any of the three previous categories of light can come in the form of Decorative Lighting. 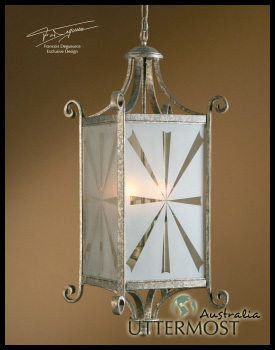 Decorative lighting draws attention to itself, and can sometime be the centerpiece or focal point of a room. A Dining Room Chandelier is a perfect example of this. 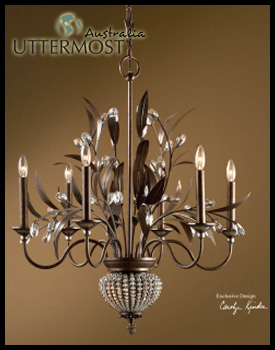 It is very important that you select the proper type of decorative lighting to create the environment you desire. Are there any basic rules to use when planning a lighting design? One basic, but often overlooked rule of efficient lighting is to put light where you need it. However, to insure an attractive, comfortable lighting atmosphere, you must also think about balancing light. It is essential to create an effective spread of light through each room and have it flow seamlessly between rooms. 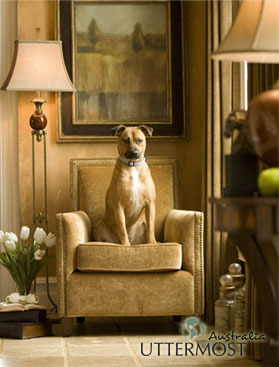 The best way to achieve this balance in a well-decorated room is to layer light sources. The first step to lighting design is to identify the main activity areas or the room’s focal points. Any room with multiple focal points will be the most visually interesting and balanced. This is where the brightest layer of light should be directed. The next step is a middle layer of light that provides interest in specific areas without detracting from focal points. The last layer fills in the background. The first two layers are supplied by task and/or accent lighting, depending on what is being lit. The third and lower-level ambient lighting is usually indirect like that provided by wall sconces. Once the essential layers are in place the decorative pieces can be added. 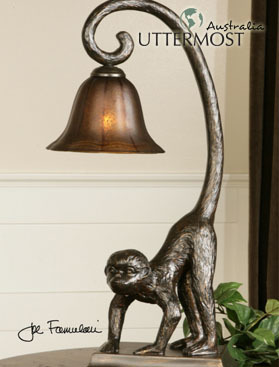 No matter what the style or the purpose of a room, the critical key touch in its décor is the lighting. 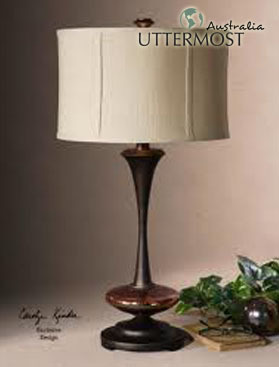 Lamps bring not only light, but great style as well. They have two roles. One is bring the “right” light for each space, and the other is to become a key factor in the beauty and character of a home. 1. Type of Lamp and its Purpose or Function – In choosing the right lamp, the number one thing is the necessary light, how much light, and its location. 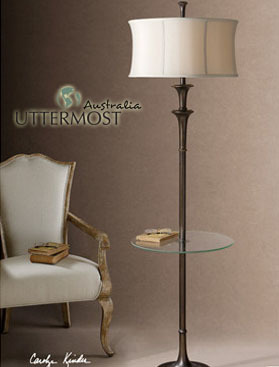 Accent Lamps, Swing Arm Lamps, or Desk Lamps are great for desks, bedside, and reading in general. They usually have a downward light, often metal or in a dark shade, to focus the light and reduce interference with TV or other visual focal points. Table, Floor, and Buffet lamps cast a warm, inviting glow, so whether enjoying a warm and close conversation or whatever the activity, the light is comfortable. Buffet lamps are a form of table lamp, usually tall and slender, but particularly attractive in pairs and often used together on a console or dresser. Torchiers are a more dramatic source of light, with a shade that directs light upward, throwing light up to bounce off the ceiling and wall, creating a glow of fairly even illumination. 2. 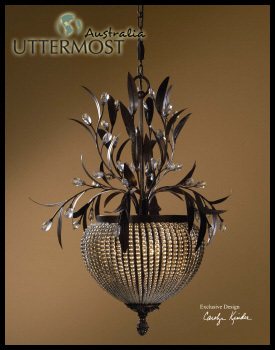 Styling – After considering the purpose or function of a lamp, next consider styling. 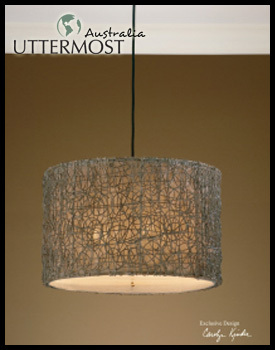 Each of the above mentioned categories of lamps can be interpreted in different personal choices of style. 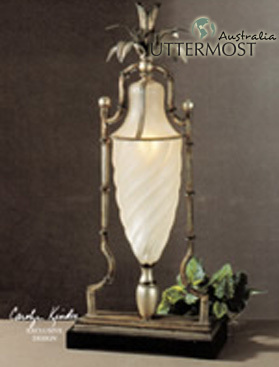 Lamps are designed in a wide range of styles to fit in any environment or room in a home, whether Contemporary or Transitional, Traditional/Classic, Rustic, or any exciting mix that expands and enhances the personal feel of the home… for its guests, and most of all for the individuals that live there. In summary, the particular character and usefulness of lamps are an important part of how any environment feels. Lamps can become the determining factor in how much a room is enjoyed, how useful it is, and in many cases, how beautiful it can be. 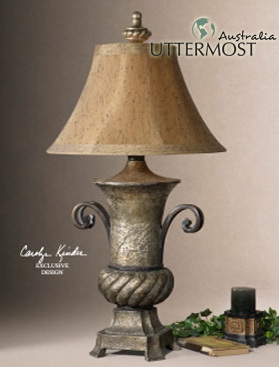 Uttermost Australia, a worldwide company has now launched in Australia, featuring luxurious yet affordable furniture, mirrors, lamps and design accessories for your home, Uttermost was one of the highlights of the Melbourne Design and Decoration show last July. During the opening of the Design & Decoration Expo, Bruce McGrath with special participation of John Oren the International Sales Manager of Uttermost USA, gave a short introduction of the best features of the Uttermost Australia home/office decorations collection. 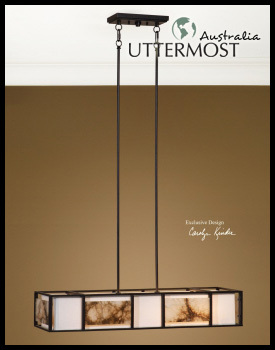 With the success of the said event, Uttermost Australia is inviting you to their next expo at Home & Giving Fair, Melbourne this 3rd – 7th August 2013. You’ll surely love to see their exciting new range of luxurious home/office furniture.